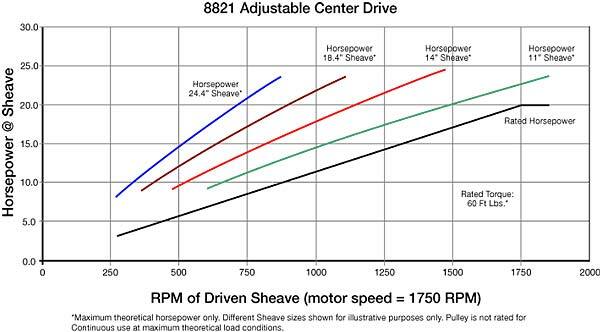 Drive selection should be based upon RATED horsepower and torque capacities. Maximum horsepower and torque capacities are theoretical, and are illustrated to show the drives ability to handle an unintended overload. All driven data presented on this page is based upon a 1750 RPM input speed.